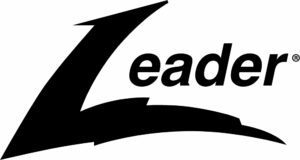 The Website may include information regarding Leader®, its products and services, and other information and materials proprietary Leader® or its licensors, as well as links to third party websites. You may download, view, copy and print information, materials and any other aspect of the Site (i) solely for your personal, non-commercial informational purposes; and (ii) provided that neither the materials, nor any proprietary notices or disclaimers therein, are modified or altered. You agree not to upload on or transmit to or via the Website any information which: (i) infringes or otherwise violates any copyright, patent, trademark, trade secret or other proprietary right; (ii) is defamatory, libelous, express hate, or is unlawfully threatening; (iii) is pornographic, obscene or exploitative of a minor; (iv) contains or embodies a virus, worm, Trojan horse or other contaminating or destructive feature; or (v) otherwise violates any applicable treaty, law or regulation. You agree you will not interfere, in any way, with others' use of or access to the Site and will not attempt to gain unauthorized access to the computer system of any other Website user. You further agree not to take any other action in connection with your use of the Website which violates any treaty, law or regulation and to fully comply with all applicable treaties, laws and regulations in your use of the Website. You agree that you will not use any robot, spider or other automatic device, manual process or application or data mining or extraction tool to access, monitor, and copy or use the Website. You additionally agree not to take any other action that imposes an unreasonable or disproportionately large load on the Website. You are prohibited from using the Site to post or transmit any infringing, threatening, false, misleading, abusive, harassing, libelous, defamatory, vulgar, obscene, scandalous, inflammatory, pornographic or profane material or any material that could constitute or encourage conduct that would be considered a criminal offence, give rise to civil liability or otherwise violate any law — Leader® will fully co-operate with any law enforcement authorities or any court order requesting or directing Leader® to disclose the identity of anyone posting or transmitting any such information or materials. All prices listed on the Leader® website are subject to change and can change without notice. Prices stated at the beginning of the shipment apply. Shipping information is referenced in the next paragraph. Leader® will arrange for the shipping of products purchased through the website but are not liable for delays in shipments. Shipping schedules are estimates and cannot be guaranteed. Only at the time when all payments, which include shipping and handling charges, are received, will Leader® release the product for shipment to you, the customer. Customers will be responsible for shipping returned or exchanged items. We accept Visa, MasterCard, American Express and Discover credit cards, as well as, PayPal payments. We use secure server software to ensure that your payment information is encrypted by employing Secure Sockets Layer (SSL) technology. In order to receive a refund, items purchased from our website must be returned within 30-days from the date of purchase. For a full refund, we must have all original packaging and in new, sellable condition. Refunds should take 24-48 hours. Call 800-955-6544 or email [email protected] for customer service, Monday through Friday, 9 AM to 5 PM EST, with any questions. 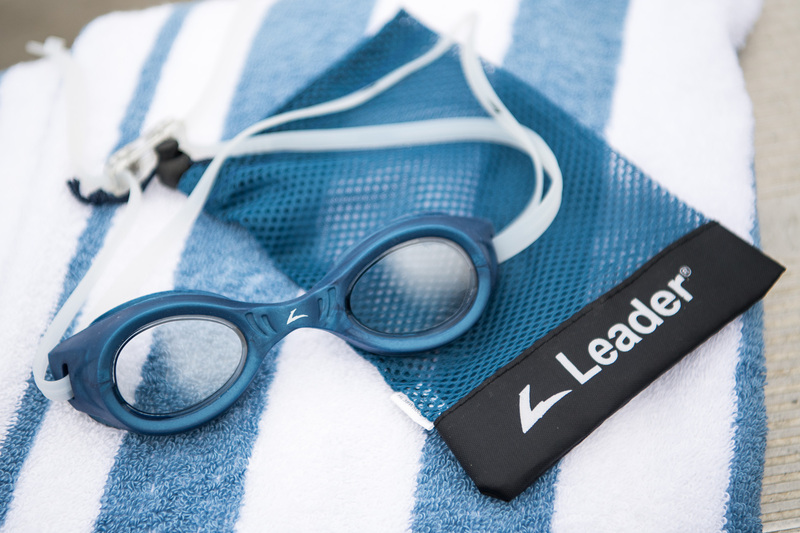 Purchase made from Leader® Swim can be exchanged within 30-days from the date of purchase and with proof of purchase. Call 800-955-6544 or email [email protected] for customer service, Monday through Friday, 9 AM to 5 PM EST, for instructions. An order begins processing immediately after it is submitted. During processing time it may be possible to cancel your order, but once the order moves into the shipping process, it cannot be canceled. If you have changed your mind about the order and it is too late to cancel because the item has already shipped, then you can return any unwanted items in accordance with the seller’s returns policy. 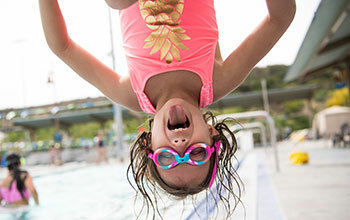 All Leader® Swim product has a 1-year limited warranty for manufacturing-defect 1 year from the date of purchase. Leader® will gladly replace or repair, any product with a manufacturers’ defective. Scratched lenses, neglect, misuse, accidental breakage or normal wear and tear does is not covered under the manufacturer’s warranty. The warranty does not include shipping costs. The warranty includes defects in material and workmanship 1 year from the purchase date. Any claim must be made within 1 year of the purchase date. We do offer a replacement service for items not covered under warranty. You may register your warranty online or mail in your warranty card to your nearest our office. Manufacturing faults do not include issues arising from general use or neglect. A warranty assessment takes into account the frame’s age and damage from neglect or general use. For a warranty assessment, send the product and a copy of the original receipt to Leader® Swim, 33 West Bacon St. Plainville MA 02762. Warranty covered frames that have been discontinued will be replaced with the most similar model. This warranty only applies to frames. 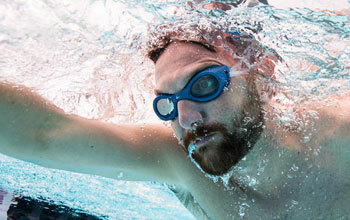 You may be required to register with Leader® Swim in order to access certain areas of the Site. With regard to any such registration, we may refuse to grant you, and you may not use, a user name (or e-mail address) that is already being used by someone else; that may be construed as impersonating another person; that belongs to another person; that violates the intellectual property or other rights of any person; that is offensive; or that we reject for any other reason in our sole discretion. You are responsible for maintaining the confidentiality of any password you may use to access the Site, and agree not to transfer your password or user name, or lend or otherwise transfer your use of or access to the Site, to any third party. You are fully responsible for all interaction with the Site that occurs in connection with your password or user name. You agree to immediately notify Leader® Swim of any unauthorized use of your password or user name or any other breach of security related to your account or the Site, and to ensure that you “log off”/exit from your account with the Site (if applicable) at the end of each session. We are not liable for any loss or damage arising from your failure to comply with any of the foregoing obligations. THE SITE AND ALL SOFTWARE, SERVICES, CONTENT AND USER CONTENT MADE AVAILABLE THROUGH THE SITE ARE SUBJECT TO CHANGE AND ARE PROVIDED TO YOU “AS IS” WITHOUT ANY WARRANTY OF ANY KIND, EITHER EXPRESSED OR IMPLIED, INCLUDING, BUT NOT LIMITED TO, THE IMPLIED WARRANTIES OF MERCHANTABILITY, FITNESS FOR A PARTICULAR PURPOSE, OR NON-INFRINGEMENT. Please note that some jurisdictions may not allow the exclusion of implied warranties, so some of the above exclusions may not apply to you. Without limiting the foregoing, Leader® Swim neither warrants nor represents that your use of the Site, any Software, Services, Content or User Content will not infringe the rights of any third parties nor that any of the foregoing will be accurate, complete or up-to-date. Additionally, with reference to any postings, submissions and the like that may be on the Site, Leader® Swim assumes no responsibility or liability arising from any infringing, threatening, false, misleading, abusive, harassing, libelous, defamatory, vulgar, obscene, scandalous, inflammatory, pornographic or profane material, or any material that could constitute or encourage conduct that would be considered a criminal offence, give rise to civil liability or otherwise violate any law, contained in any such locations on the Site. YOUR USE OF THE SITE OR ANY SOFTWARE, SERVICES OR MATERIALS AVAILABLE THROUGH THE SITE IS AT YOUR OWN RISK. NEITHER LEADER® SWIM, NOR ANY OF ITS AFFILIATED ENTITIES, OR ANY OTHER PARTY INVOLVED IN CREATING, PRODUCING OR DELIVERING THE SITE, NOR ANY OF THEIR RESPECTIVE DIRECTORS, OFFICERS, EMPLOYEES, AGENTS, SHAREHOLDERS, LICENSORS AND REPRESENTATIVES, ARE LIABLE FOR ANY DIRECT, INDIRECT, PUNITIVE, INCIDENTAL, SPECIAL, CONSEQUENTIAL, EXEMPLARY, PUNITIVE OR OTHER DAMAGES ARISING OUT OF OR IN ANY WAY CONNECTED WITH THE USE OF THIS SITE, THE SERVICES, SOFTWARE, CONTENT OR USER CONTENT WHETHER BASED ON CONTRACT, TORT, STRICT LIABILITY OR OTHERWISE, EVEN IF ADVISED OF THE POSSIBILITY OF ANY SUCH DAMAGES, INCLUDING WITHOUT LIMITATION DAMAGES FOR LOSS OF PROFITS, USE, DATA, LOSS OF OTHER INTANGIBLES, LOSS OF SECURITY OF INFORMATION YOU HAVE PROVIDED IN CONNECTION WITH YOUR USE OF THE SITE, THE SERVICES, SOFTWARE, CONTENT OR USER CONTENT, OR UNAUTHORIZED INTERCEPTION OF ANY SUCH INFORMATION BY THIRD PARTIES, EVEN IF ADVISED IN ADVANCE OF SUCH DAMAGES OR LOSSES. 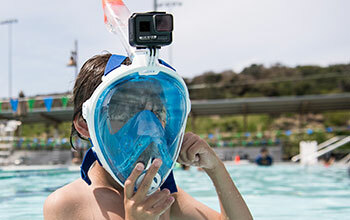 IN PARTICULAR, AND WITHOUT LIMITATION, NEITHER LEADER® SWIM NOR ANY AFFILIATED ENTITY WILL BE LIABLE FOR DAMAGES OF ANY KIND RESULTING FROM YOUR USE OF OR INABILITY TO USE THE SITE, THE SERVICES OR SOFTWARE, OR RESULTING FROM ANY CONTENT OR USER CONTENT POSTED ON THE SITE BY LEADER® SWIM OR ANY THIRD PARTY. YOUR SOLE REMEDY FOR DISSATISFACTION WITH THE SITE IS TO STOP USING THE SITE. Please note that some jurisdictions may not allow the exclusion of certain damages, so some of the above exclusions may not apply to you. 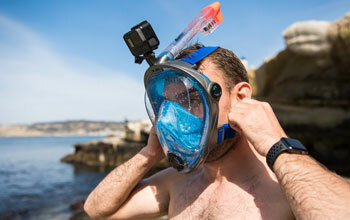 Leader® Swim does not endorse the content, or any products or services available, on such sites. 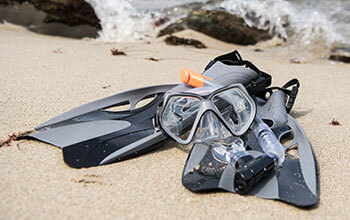 If you establish a link to such sites, you do so at your own risk and without the permission of Leader® Swim. * To anyone on the United States Treasury Department’s list of Specially Designated Nationals or the U.S. Commerce Department’s Table of Deny Orders. This Site may contain statements, estimates or projections that constitute “forward-looking statements” as defined under U.S. federal securities laws. Generally, the words “believe”, “expect”, “intend”, “estimate”, “anticipate”, “project”, “will” and similar expressions identify forward-looking statements, which generally are not historical in nature. Forward-looking statements are subject to certain risks and uncertainties that could cause actual results to differ materially from Leader® Swim’s historical experience and our present expectations or projections. These risks include, but are not limited to, our ability to finance expansion plans, share repurchase programs and general operating activities; changes in the non-alcoholic beverages business environment, including actions of competitors and changes in consumer preferences; regulatory and legal changes; fluctuations in the cost and availability of raw materials; interest rate and currency fluctuations; changes in economic and political conditions; our ability to penetrate developing and emerging markets; the effectiveness of our advertising and marketing programs; litigation uncertainties; adverse weather conditions; and other risks discussed in our Company’s filings with the Securities and Exchange Commission (the “SEC”), including our Annual Report on Form 10-K, which filings are available from the SEC. You should not place undue reliance on forward-looking statements, which speak only as of the date they are made. 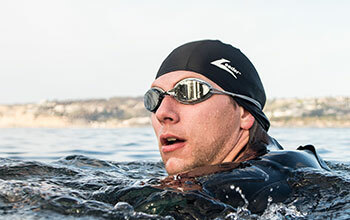 Leader® Swim undertakes no obligation to publicly update or revise any forward-looking statements. All content and services made available through the Site that were not made available as of the “LAST UPDATED” date above shall automatically be deemed to be part of the Services when first made available through the Site. Any software or tools made available through the Site that were not made available as of the “LAST UPDATED” date above shall automatically be deemed to be Software for purposes of this Agreement when first made available through the Site. We reserve the right, at any time and from time to time, temporarily or permanently, in whole or in part, to: modify or discontinue the Site, the Services or the Software, with or without notice; limit the Site’s availability to any person, geographic area or jurisdiction we choose; charge fees in connection with the use of the Site; modify and/or waive any fees charged in connection with the Site; and/or offer opportunities to some or all users of the Site. You agree that neither we nor any Affiliated Entity shall be liable to you or to any third party for any modification, suspension or discontinuance of the Site, in whole or in part, or of any Service, Software, content, Submission, feature or product offered through the Site. Your continued use of the Site after such changes will indicate your acceptance of such changes. Pursuant to 47 U.S.C. Section 230(d) as amended, we hereby notify you that parental control protections (such as computer hardware, software or filtering services) are commercially available that may assist you in limiting access to material that is harmful to minors. Information identifying current providers of such protections is available at the following website: www.staysafe.org. If you have a question or complaint regarding the Site, please send an e-mail to [email protected] You may also write to Leader® Swim, 33 West Bacon St. Plainville MA 02762.